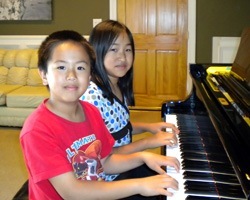 A: It is ideal if you do have a piano at home, but you can start lessons by using an electric keyboard to practice on. 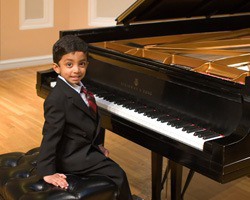 Many of our piano student rent a piano for the first 6-12month. If you choose to start with a keyboard, we recommend a keyboard that has regular sized keys and a touch sensitive response. A touch sensitive keyboard means if you press a key harder it will play louder and if you press a key softer it will play quieter. Q: I don't have any musical background or ability, can I still help my child practice?